Our company was established in 1999 with a view to providing technology and services to our customers based on the mantra of “doing things the right way – first time”. We offer a full range of services including supply, outsourcing, management and design of all aspects of telecommunications and IT markets. ACSData is 100% corporate focused. We supply, manage and support hundreds of corporate customers while other Tier One suppliers manage many hundreds of thousands of residential customers. Our key strengths are our focus, responsiveness and ability to tailor flexible solutions at very competitive price points. ACSData supplies services to organisations across every sector of the market. We also provide services to Hospitals, Airports, Banks and the financial sector. These customers require the highest availability in their mission critical environments. We have a proven track record of providing high quality and high availability service for business essential environments. ACSData prides itself on its innovation and commitment to customer satisfaction. All engagement with customers is done on a consultative basis to provide the best solution in the most cost-effective way. We are not restricted by who can be utilised as a supplier for any of our customers as all areas of our business can be tailored specifically to meet our customers’ requirements. We truly believe that when it comes to telecommunications and connectivity, the best way to provide this is by finding “the shortest path”. We will design the most direct route to provide the type of environment that customers require. We will always discuss with our customers what our recommendations are and mutually agree on the best outcome. Daniel is the Founder and CEO with over three decades of IT Industry experience. Daniel has guided the company, from its inception in 1999, through to it becoming a world class global telecommunications company spanning multiple continents. 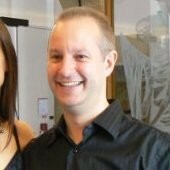 He shares his passion and understanding of technology from board level through to the engineer on a data centre floor. This rare ability to link management direction with technology solutions and to articulate this at any level is one of the many stand outs he brings to the table. Outside of work Daniel enjoys spending time with his wife and teenage children. He coaches his son’s college basketball team and still somehow finds time to play masters basketball. 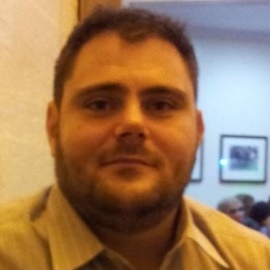 See Daniel's business profile here. Karen joined the ACSData team in 2013 after 30+ years’ experience working for some very large key multinational organisations. Karen’s key strengths are building long term relationships with customers based on strong ethics and trust. She enjoys working with the team to deliver solutions to customers that achieve the customers goals as well as on time and on budget. In Karen’s spare time, she is involved in mentoring and helping guide people on career development and how to achieve their goals. 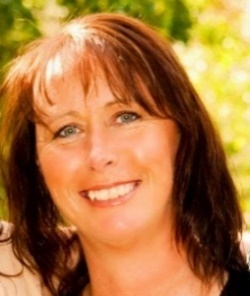 Karen also enjoys spending time with family, travelling, socialising over a wine (or two), and walking her dogs. See Karen's business profile here. Lincoln and his team have built the ACSData network from the ground up and have continued to design, build and maintain it since its inception. Lincoln is widely acknowledged in the telecommunications industry of having key strengths in network and platform design. Lincoln also provides infrastructure design services to provide complex connectivity and management across various organisations’ telecommunications environments. Lincoln is the core that ensures that the ACSData mantra of “do things once and do them right” is delivered upon. In Lincoln’s spare time he spends time with his young family, plays music and walks his dogs. See Lincoln’s business profile here. Steve joined the ACSData team in 2017 after many years of running his own successful business. Steve’s key areas of focus are around customer service, delivery of large scale IT projects, IT contract management, procurement services and overall management of bringing new clients into the ACSData family. Outside of work Steve enjoys spending time with family. 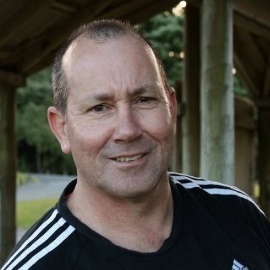 He is an avid rugby supporter and enjoys advising referees and players from his couch on where they need to improve. Steve also enjoys bush walks with his dogs and fishing. See Steve’s business profile here. Kevin is an independent director who joined the board in February 2014. 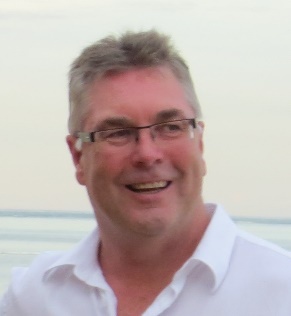 Kevin has considerable experience in executive management and governance roles and currently provides management consulting services to clients in New Zealand and Australia. In his spare time Kevin enjoys spending time with family, boating, exploring the outdoors and playing golf. As a golfer Kevin is trying to reduce the time spent in the more challenging parts of golf courses, especially areas with sand, long grass or trees.